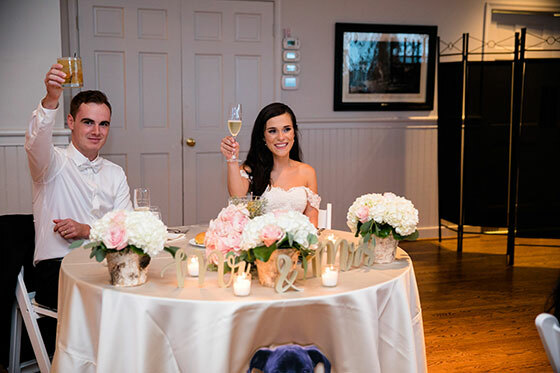 On Saturday, September 15, 2018, Francesca and Tom joined 161 close family and friends at Radnor Hunt for their elegant wedding reception. 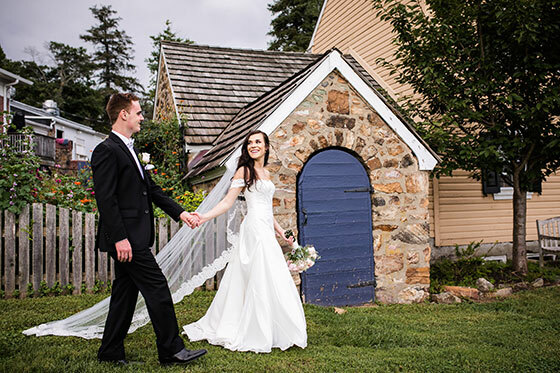 The couple made sure to capture Radnor Hunt’s best angles, filling its welcoming indoor space with their personal details and taking a moment to appreciate the property’s serene countryside. 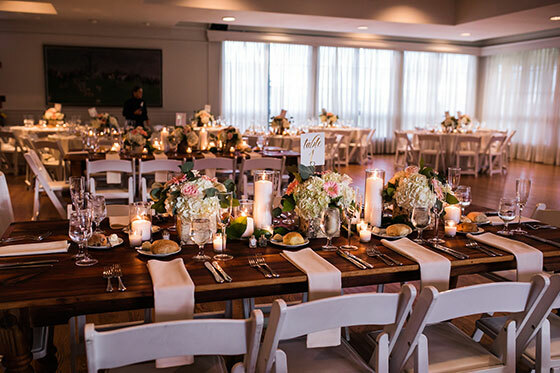 Our team was on-site prior to guests’ arrival to prepare the sweetheart, guest, cocktail and farm tables, which were adorned with Matte Satin Vanilla Creme linens and stunning centerpieces. 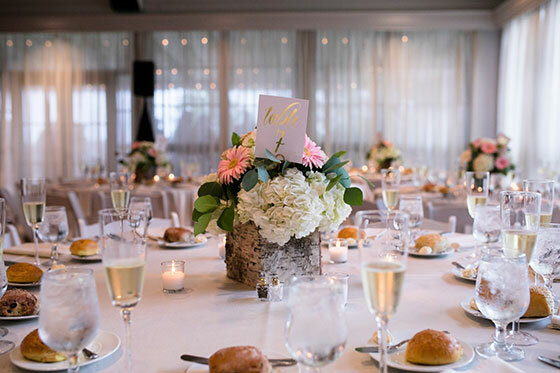 A unique display of stationary hors d’oeuvres was also arranged alongside customized decor. Cocktail service included a bruschetta station arranged with traditional tomato, white beans, feta, arugula, ratatouille, mushroom and brie with toasted baguettes. Guests mingled over beer and cocktails. The bride and groom thoroughly enjoyed their signature drinks: Dirty Martini and Manhattan. After dinner came the moving speeches. 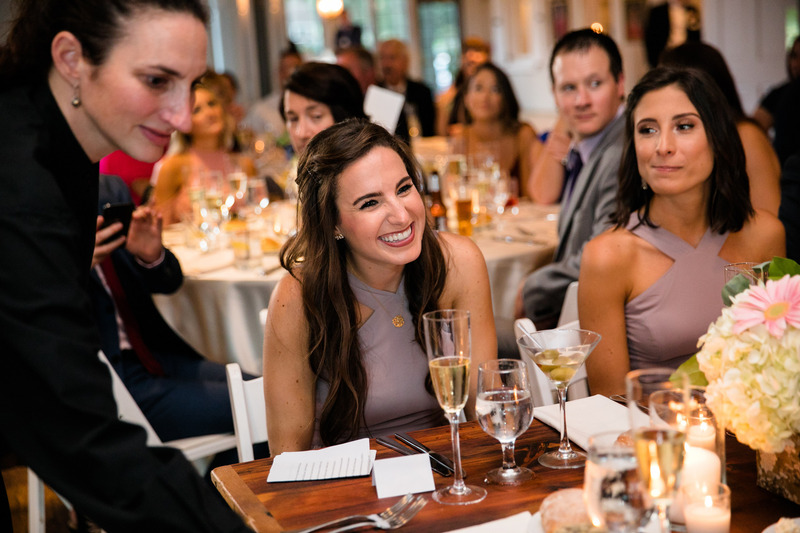 The bride shed tears of joy during her maid of honor’s speech, which was filled with touching moments the two women shared together over the years. All loved ones who spoke shared their personal moments with the entire room. The mood in the room rose when guests summoned each other to the dance floor. After the graceful formal dance moves came the busta-moves. Every wedding deserves a cake. 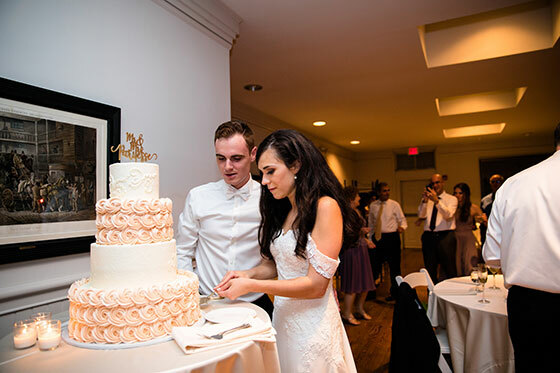 Guests enjoyed an intricately decorated wedding cake from Master’s along with their coffee and tea. Everyone who partook in this touching experience at Radnor Hunt went home with the beautiful memories to show for it.